You gotta love this! This statement-ring literaly stands out. 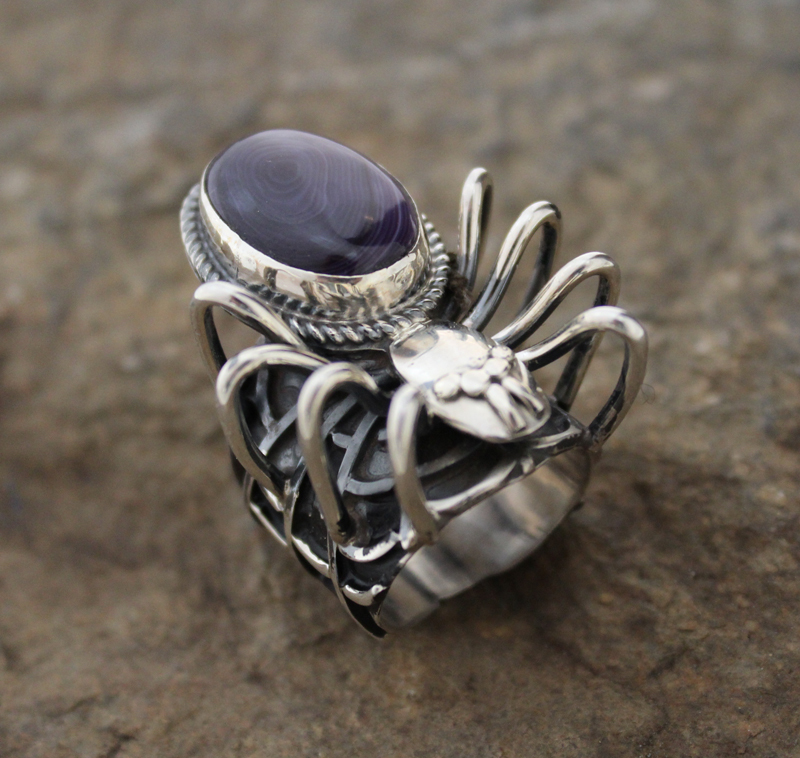 A handcrafted life-like Sterling Silver Spider sits on top of a wide Silver band that features a spiderweb. 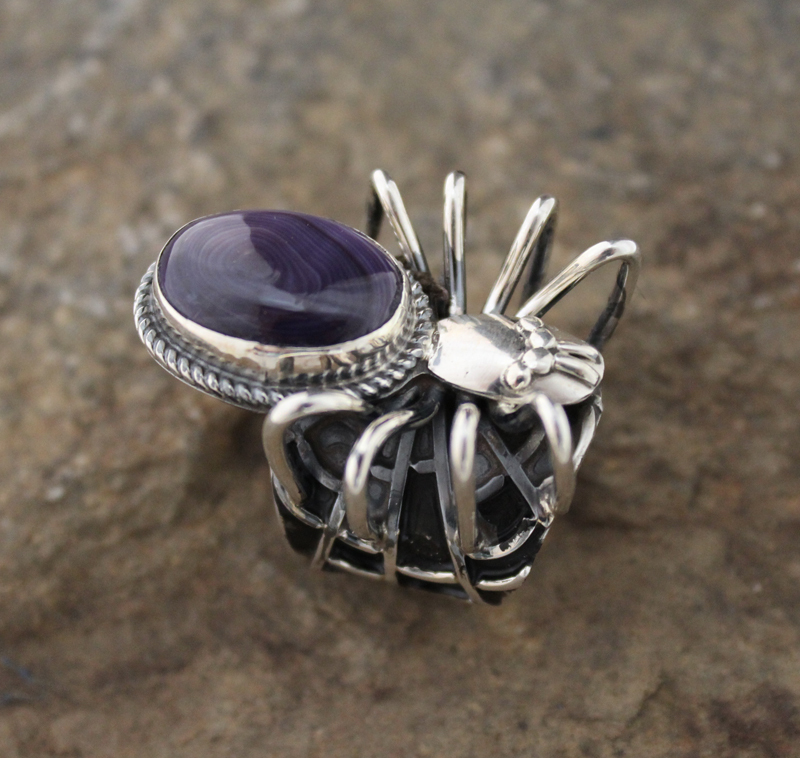 The body of the spider is created with a Wampum cabochon framed with twisted Sterling Silver wire that enhances the natural purple color of the Wampum. 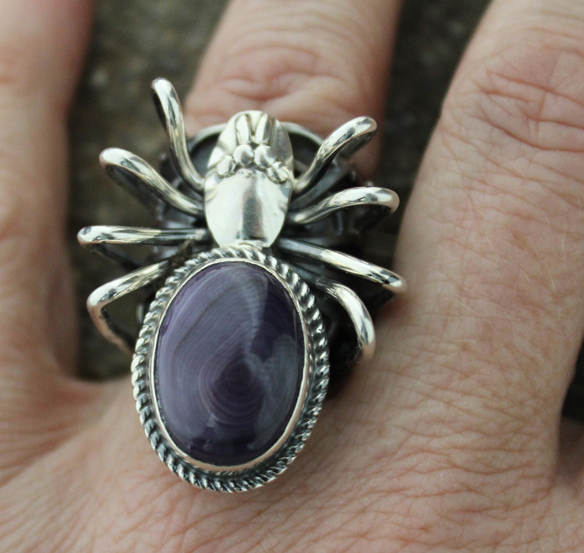 This ring was exclusivley made for Traditional Hands with our Wampum by a local New Mexican artist. *The ring shown above is a size 7 1/2.